Presented here is a full and complete wax box of 1986/87 Fleer basketball cards. 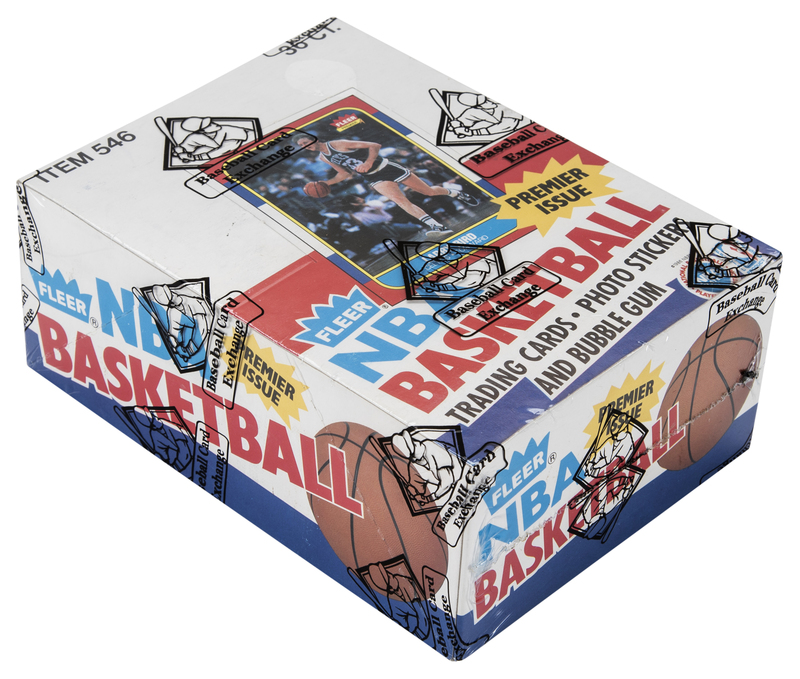 No collector would try to deny that Fleer's 1986 production of 132 NBA cards is the hottest commodity in basketball collectibles. This segment of sports card marketing was, until the arrival of Michael Jordan, a very tenuous and uncertain affair. 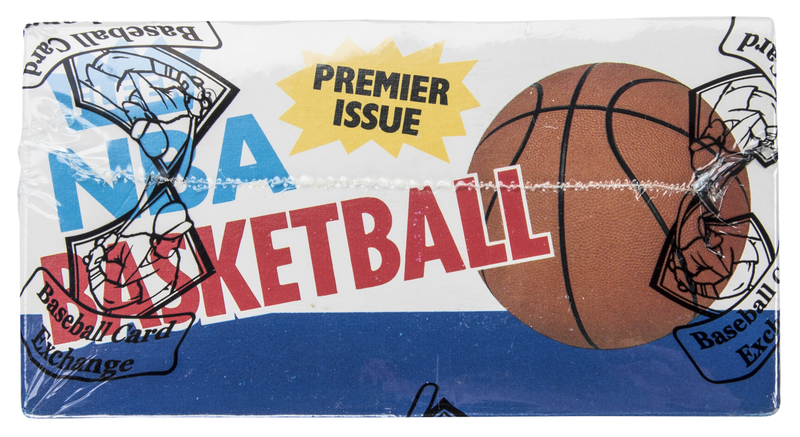 Since World War II, a number of less than overwhelmingly successful challenges were advanced in the effort to popularize basketball cards. The most prominent manufacturer, Topps, finally succumbed to collector indifference in 1982. Later, Fleer seized the basketball card initiative, and cautiously distributed this now-legendary issue. The notion that Michael Jordan was destined for the ranks of greatness was never in doubt, but his 1986/87 Fleer issue mirrors or even exceeds his esteemed on-court status. That the magnitude of his impact on the game proved so intense, however, came as an unexpected windfall to the entire NBA marketing industry. Jordan's presence, in the game and in Fleer's set, pumped a lasting vitality into the professional sport's collectable cards. 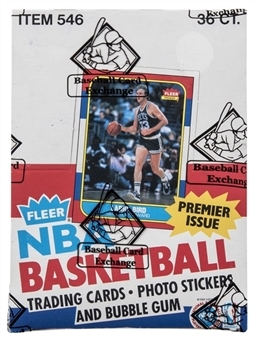 The popularity of Michael Jordan did catch Fleer by surprise in 1986, and the company thus put forth only a limited commitment to the production. Today, the 1986/87 basketball set is a true grail for modern collectors. Despite the cards' rather recent introduction, these are unquestionably scarce. What small availability does exist remains under unremitting pressure of demand. In terms of content, of course, Jordan's first-year rendering is at center stage. But lofty acclaim must also be afforded the cards of Olajuwon, Barkley, Drexler, Wilkins, Ewing and other stars. The product's base 132-card set is accompanied by an 11-player card-sized sticker insert. 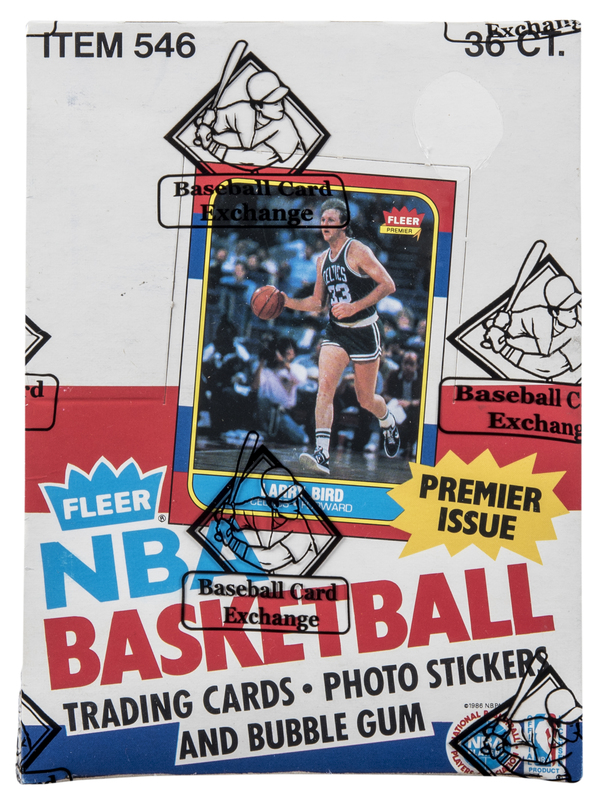 These 143 pieces are the unquestioned cornerstone group of any modern basketball collection. The wax box presented here can be expected to contain 432 untouched cards from the base set, plus 36 stickers. All have been incubated through this day in their original packaging. 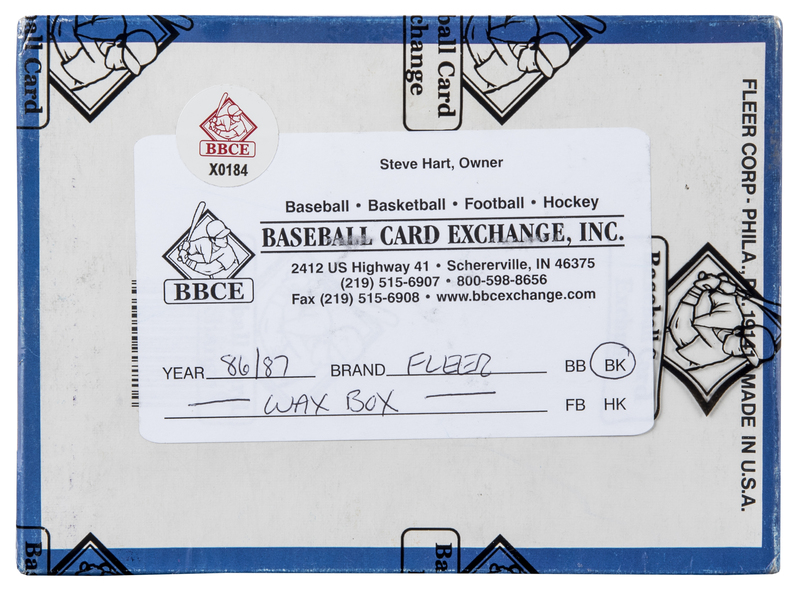 The packs remain undisturbed in their box, which itself reflects a bare minimum of handling and is protected by securely sealed "Baseball Card Exchange" plastic wrapping (with BBCE #X0184 label). The raw treasures inside these packs can be expected to fulfill the most optimistic fantasies of grading expectations. Fleer products of this generation are well known for their collector-friendly collation, so key cards will doubtless emerge in the proper proportions for set building or for speculation. 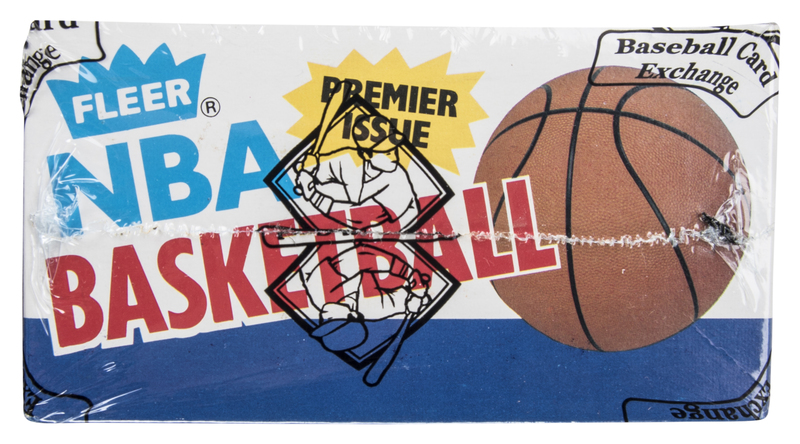 This is an essentially uncirculated, nearly impossible-to-find example of the basketball hobby's most universally sought-after unopened product. LOA from Baseball Card Exchange.